Devoted champions of natural products – our formulas have never contained any harmful substances such as parabens, phenoxyethanol, synthetic colours etc. 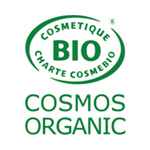 Our ‘certified organic’ products are accredited by an approved body and so are entitled to carry labels such as ‘Ecocert’, ‘Cosmebio’ or ‘Agriculture Biologique’ (Organic Farming). This shows APIMAB’s and its brand, Propolia’s®, commitment to developing its activities as part of responsible, safe and sustainable farming. Protecting biodiversity is our priority and our first commitment. We implement our commitment and certify our daily activities through a number of different projects and labels that help ensuring the preservation of nature, of our friends the bees and of our national beekeeping industry. In our search for active plant ingredients, our first preference is for Organic Farming which is more respectful of our environment and provides a guarantee of the quality of the raw materials used in our formulas. 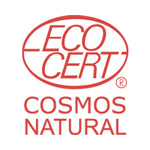 We guarantee that our products use Propolis which is certified of the best quality. This certification assures you that our Propolis has been selected for its diverse active ingredients. Which is why we use Propolis from our long-term beekeeping partners purified and processed using unique techniques in our laboratory. 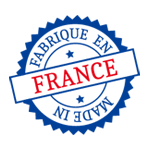 Using Propolia products provides the assurance of high-quality products made in France whose most important raw material, Propolis, enables us to support beekeepers. Marc-Alain Bernard is very influenced by his original bee-related activities and has always treated the Bee like a queen: his passion is reflected in the DNA of his Propolia products whose formulas include a selection of high-quality beehive products. We want to maintain the "beehive spirit" and stay in close contact with our beekeeping partners at UNAF (National French Beekeeping Union). We work together to ensure that Bees are protected. Our environment is based on a fragile balancing act. Bees are an indispensable link in this ecosystem, which is why we support local beekeeping. We actively support UNAF with our partners and with your help. For every product purchased on the propolia.com website, we give 25 cents to the organisation. We want to ensure a brilliant future for French beekeeping. We also support Abeille, Sentinelle de l'Environnement an association created by UNAF that celebrated its 10 years in 2015! The programme brings together public and private partners to inform and raise public awareness about the essential role played by bees in biodiversity and our food. To celebrate this anniversary, Propolia has joined with UNAF to offer you a metallic box with the colours of the brand and Abeille Sentinelle. This little souvenir was designed for you to show your support for French beekeeping..
We have provided support to this association since 2010 to help the poorest inhabitants of Madagascar. The association sponsors many different projects to help the local population obtaining the tools it needs to live autonomously. The association has already built two apiaries and a honey house for several villages and set up over 50 beehives. However, its main achievement was providing drinking water to over 10,000 residents! We contributed to the building of an orphanage for 35 needy children through the project we support.